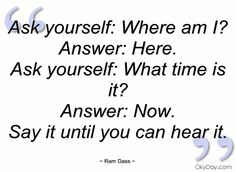 I love Ram Dass. He is funny. Provocative. Inspirational. And so insightful. His journey is one that I have used in my life as sort of a model for self-discovery. And that’s the journey I am on now. To share what I have learned, to continue to grow, discover and learn everyday, to search for purpose and meaning in the time I have been given, to offer unconditional love and kindness to everyone in my life and everyone I meet. 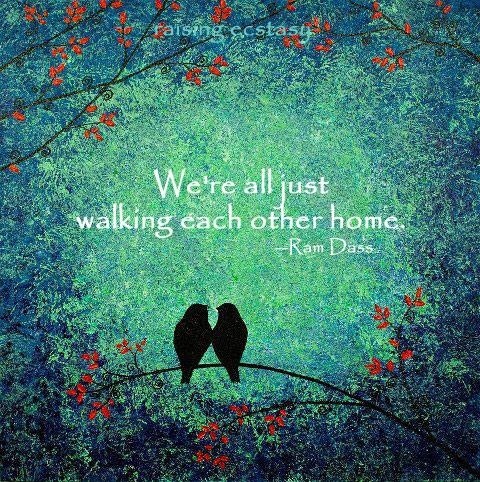 Ram Dass wrote one of the most important spiritual books of our time Be. Here. Now. It’s what grounds me in the moment when my thoughts seem to be getting away from me. When I sense my anxiety is coming because my thoughts are focusing on the past and the future. Not the present! 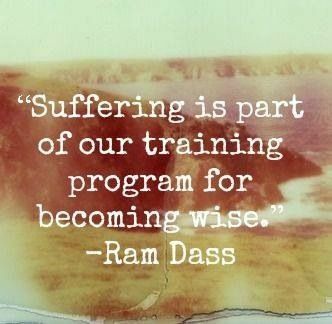 And that’s what Ram Dass reminds me of daily. He offers so much wisdom and insight to help find our spiritual paths, and in addition, he has been one of the real founding fathers of using Meditation to cure anxiety, anger and physical pain. Check out this great entry on his website on these topics here. To honor Ram and to show my deep admiration and respect, I thought I would offer up my other top quotes from him that have inspired and continue to inspire me to this day. Now in his mid 80’s and having suffered from a stroke, Ram Dass continues to inspire so many with his thoughts and by sharing all he continues to learn. 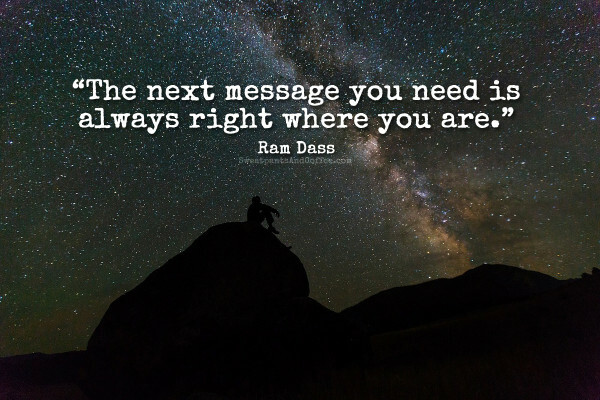 If there is one theme I would share with my friends that I learned from Ram Dass is that being honest with yourself and all those around you is the greatest way to live a life of authenticity. So much of what we do and present to the world are images of how we want to be perceived. 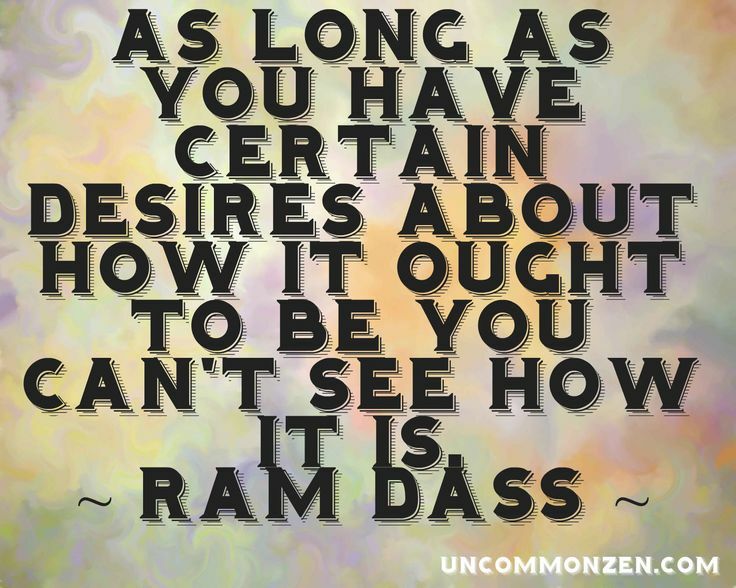 Ram Dass helped me find the courage to BE MY AUTHENTIC SELF. And he has taught me that I alone have all the tools I need to find my true inner happiness and peace. They are right inside of me and have been there all along waiting for me to discover them. 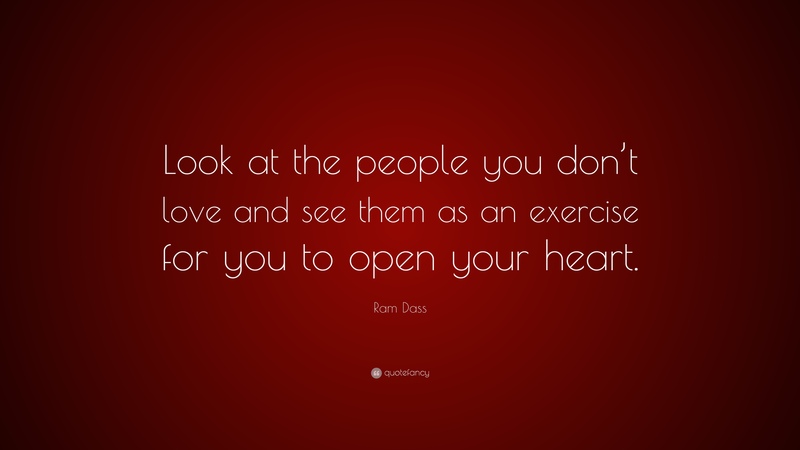 Thank you Ram Dass for all you have done for me and millions of others. Awww he is one of my heroes!